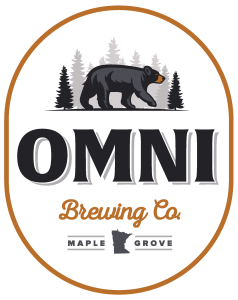 Opened in September 2015 OMNI is bringing great beer to the NW suburbs of Minneapolis! Check us out in our taproom, on the patio, or at your local watering hole! We believe craft beer has the power to bring all kinds of people together. We strive daily to create a something-amazing-for-everyone collection of thoughtful, handcrafted brews. We are all beer and no pretense. All are welcome. All are valued. All together now.